Happy belated Hump day! Sorry for the delayed post as today was a very busy day and I’m only just catching my breath now. Sometimes I feel like the world’s worst super hero where my secret identity is being a property manager for a condominium complex of 480 units and my super alter ego is being a comic artist. One of them will always get in the way of the other. 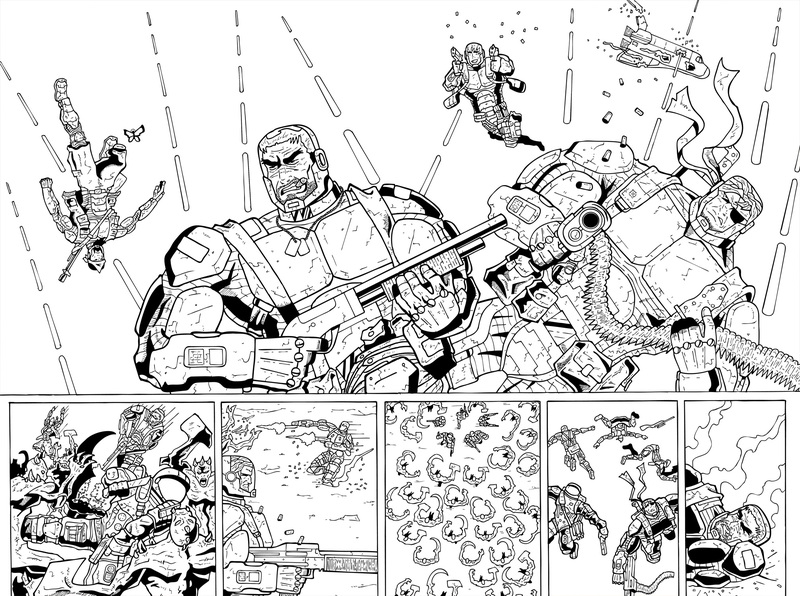 I hope you enjoy the inks to this two page spread and the large version can be found here.